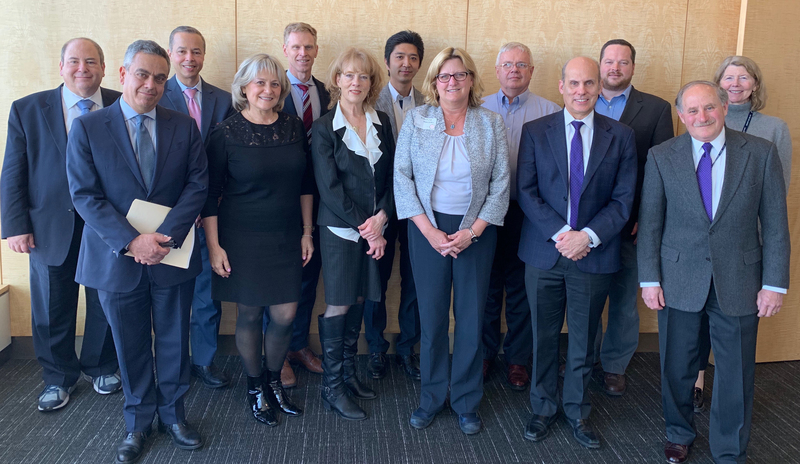 The Center for Interdisciplinary Cardiovascular Sciences (CICS) was established in 2009 by a collaboration agreement between the Brigham and Women’s Hospital (Boston, MA) and Kowa Company, Ltd. (Tokyo, Japan). The goals of CICS are to promote better understanding of the mechanisms of cardiovascular inflammation and cardiometabolic disorders and to enhance further advancement in cardiovascular prevention and therapy through a translational research program that consists of investigators from academia and industry with multidisciplinary backgrounds acting in concert in a shared space. Hideyuki Higashi is one of our visiting expert scientists from Kowa Japan. He joined Sasha Singh's Proteomics Group in 2015. Hideyuki came with small molecule expertise, but quickly blossomed to become CICS's foremost expert in proteomics, especially in the field of ADP-ribosylation. We recently celebrated Hideyuki's publication in the Journal of Proteome Research where he, in collaboration with Dr. Masanori Aikawa's group, characterized the ADP-ribosylome of a macrophage-like cell line. Hideyuki supports all CICS researchers in their proteomics endeavors, but also finds the time to challenge himself in other ways. Hideyuki participates in half-marathons and triathlons, and is a kendo expert! Most importantly, Hideyuki enjoys being a father, Congratulations to Hideyuki in all of his success while visiting Boston and CICS! The 4th Aortic Valve Symposiums successfully finished. Thank you for participating the symposium and we look forward to seeing you next April. February 22 is the National Heart Valve Disease Awareness Day. Check out Watch, Learn and Live library created by the American Heart Association. Dr. Elena Aikawa and Dr. Maximillian Rogers ’s review is now published online . 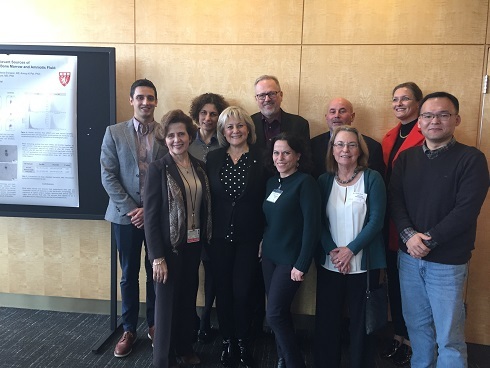 The 2018 Longwood Extracellular Vesicle Symposium : “From Science to Therapeutics” took a place at CICS on November 28, 2018. 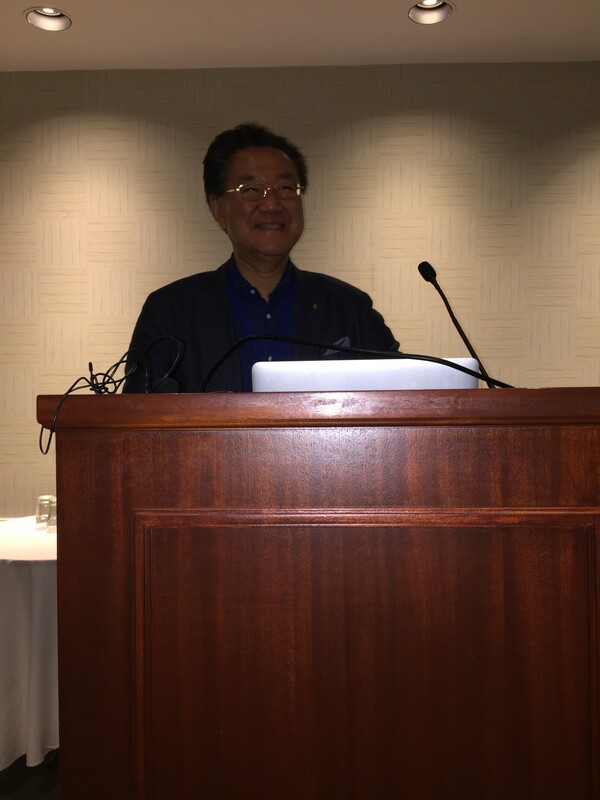 Masanori Aikawa, MD, PhD presented at the 2018 VASCULAR BIOLOGY.